It’s petty and we love it. Burger King is pretty good on the ol’ social media and they’ve taken aim at fast-food rivals McDonald’s with their latest campaign. After the EU ruled that McDonald’s no longer held the sole rights to the term Big Mac, Burger King has been quick to take advantage of the chances to copyright. In a wonderfully childish ad, BK has captured customers ordering from a new menu at a restaurant in Sweden. Only the menu in question is just full of Maccies-inspired put-downs. New items include ‘the like a Big Mac but actually big’, ‘the kind of like a Big Mac but juicier and tastier’ and ‘the anything but a Big Mac’. You can watch the clip below. 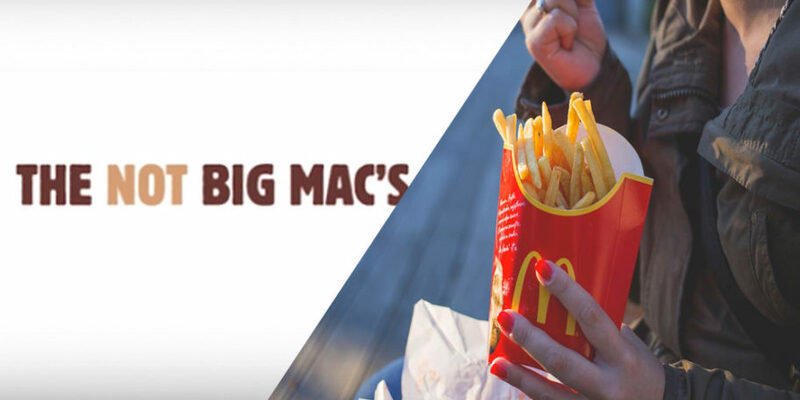 McDonald’s lost the landmark battle to secure the trademark Big Mac name when Irish fast-food chain ‘Supermac’s’ asked the European Union Intellectual Property Office to cancel McDonald’s use of the trademarks in select fields. In a statement received by AFP, Supermac’s accused McDonald’s of “trademark bullying, registering brand names which are simply stored away in a war chest to use against future competitors”.